Set your home up right with the best air diffusers at great prices. 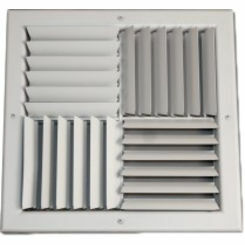 PlumbersStock offers thousands of discount options when it comes to vent covers, and that's also true of HVAC diffusers. 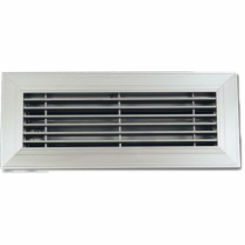 Save on all your heating and cooling updates with the HVAC experts here. 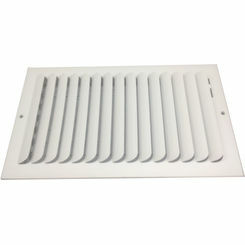 Check out our Shoemaker air diffusers. 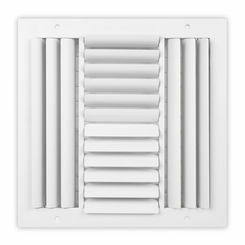 A diffuser is the part of the central air conditioning and heating system in your home that allows you to direct or close off the flow of air to a room. 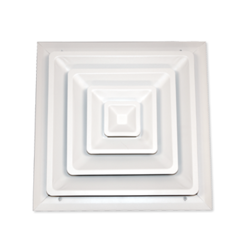 Diffusers can have decorative looks but are mainly used for practical purposes to diffuse the warm or cold air throughout various rooms. 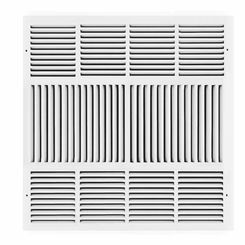 They are manufactured to meet standardized requirements for distributing air in an efficient and effective manner. 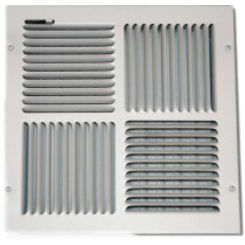 Floor vent covers: Used to cover air vents in the floor to manipulate or shut off the air flow from a furnace or air conditioner in a particular room or office. 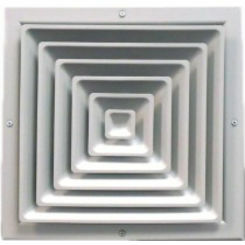 The most common sizes are 4" x 10", 4" x 12", and 4" x 14"
Ceiling Wall Diffusers: Like the floor vent covers, ceiling and wall diffusers are used to cover air vents to manipulate or shut off air flow to a room. 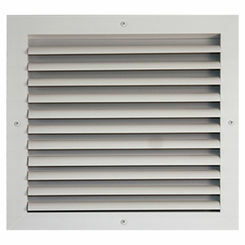 The difference is that these are designed to install into place rather than set into place like a floor vent cover. 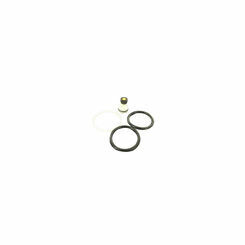 These diffusers come pre-drilled and include the screws to facilitate mounting them upside-down or vertical. 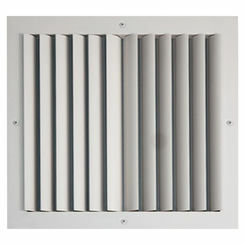 2-Way and 3-Way Diffusers: Fan-shaped louvers. 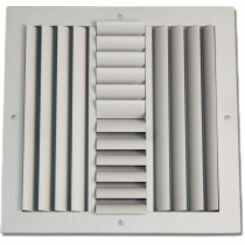 Adjustable Diffuser: Offers adjustable steel blades, also known as louvers, with steel multi-shutter damper. There are a variety of products, styles, types, sizes, materials, and colors you could go with. It just depends on what goes the best with your house and what you want. PlumbersStock has a variety of manufacturers like Deflecto, Hart & Cooley, Shoemaker and more. 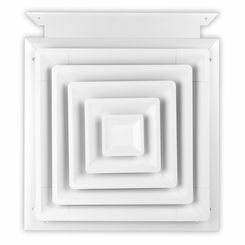 There are over countless different air diffusers you could go with. 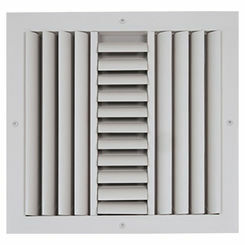 Measure the vent opening dimensions and purchase a diffuser to match. 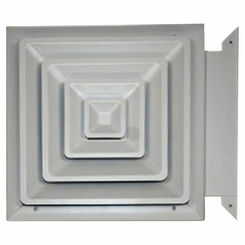 Take a measurement of the diffuser's "neck" to ensure that it will fit in the duct opening. Next, you must slide the diffuser's neck into the drywall opening until the flange is tight to the drywall. 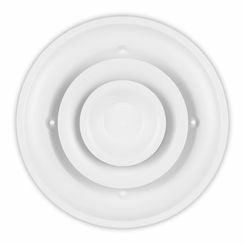 Because duct ends are generally installed in between 2x4s, floor joists, or trusses, It may be necessary to mark the screw holes and install drywall anchors or pre-drill pilot holes for a more secure installation. 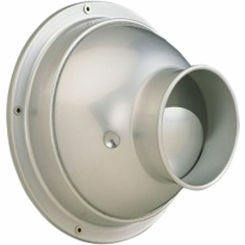 Lastly, screw the diffuser into the wall or ceiling with the screws that came with the unit. Remember to give us a call or e-mail us if you have any trouble finding the right part. 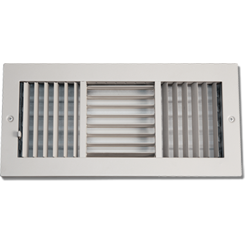 Whether you need a baseboard diffuser or a floor vent cover, PlumbersStock has the part you need at a price you will love.